* De Mestre would go on to train three other winners of the Melbourne Cup – Tim Whiffler (1867), Chester (1877) and Calamia (1878). * Cummings’ other winners were Think Big (1974, 1975), Gold And Black (1977), Hyperno (1979), Kingston Rule (1990), Let’s Elope (1991), Saintly (1996), Rogan Josh (1999) and Viewed (2008). * Other trainers to have multiple Cup wins include: 5 – Lee Freedman: Tawrrific (1989), Subzero (1992), Doriemus (1995), Makybe Diva (2004, 2005); 4 – John Tait: The Barb (1866), Glencoe (1868), The Pearl (1871), The Quack (1872); Richard Bradfield: Patron (1894), The Victory (1902), Night Watch (1918), Backwood (1924); James Scobie: Clean Sweep (1900), King Ingoda (1922), Bitalli (1923), Trivalve (1927); W S Hinkenbothem: Mentor (1888), Carbine (1890), Newhaven (1896), Blue Spec (1905). * 1985 marked the dawn of a new era for the Cup with prize money raised to $1 million. The owners of What A Nuisance received $650,000 and a $23,000 Cup. * This year the race is worth $4 million to the winning owners along with a trophy valued at $200,000. * Four-year-olds (44) and five-year-olds (44) have the best record of any age group. Other age groups are three-year-old (23), six-year-old (32), seven-year-old (10) and eight-year-old (2). * There have been no dead-heats for first in the race but Topical and Gaine Carrington dead-heated for third in Hall Mark’s 1933 Cup and Lahar and Zazabelle also dead-heated for third in the 1999 Cup won by Rogan Josh. * Harry White steered the Bart Cummings-trained Think Big to successive victories in 1974 and 1975. He was back in the winner’s circle again with Arwon in 1978 and another Cummings’ runner Hyperno in 1979. * The shortest priced are Archer 2-1 (1862), Tim Whiffler 5-2 (1867), Revenue 7-4 (1901), Phar Lap 8-11 (1930), Even Stevens 3-1 (1962), Let’s Elope 3-1 (1991) and Makybe Diva at 5-2 in 2004. * Heaviest weights carried in the Cup:- Winners – Carbine 10.5 (65.5kg), Archer 10.2 (64.5kg), Poitrel 10.0 (63.5kg), Redcraze 10.3 (65kg). Others: Rising Fast 10.0 (65.5kg) 2nd, Eurythmic 10.5 (65.5kg) broke down, Phar Lap 10.10 (68kg) in 1931 8th, Peter Pan 10.6 (66kg) in 1935 15th. * In 1993, Vintage Crop became the first northern hemisphere-trained horse to win. The Irish stayer was trained by Dermot Weld and ridden by Mick Kinanne and is credited with putting the race on the world stage. 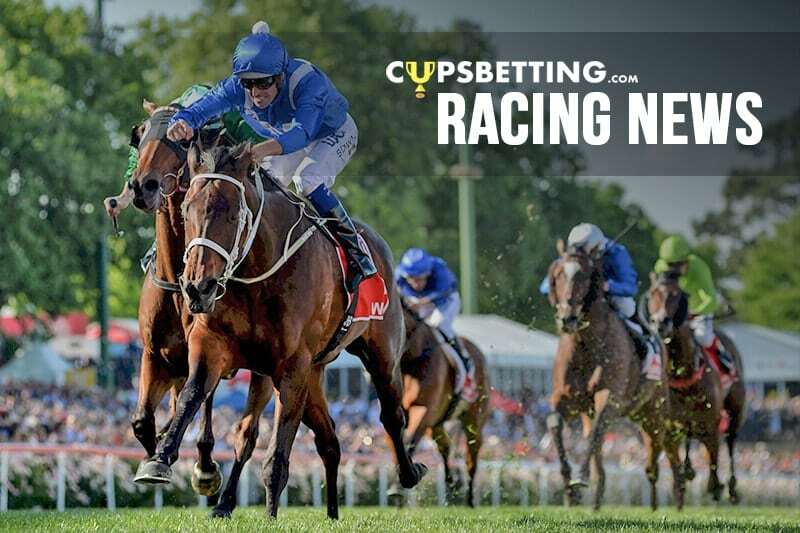 * Craig Williams needs a Cup win to become the eighth jockey to complete the Grand Slam of Australian racing – Golden Slipper, Caulfield Cup, Cox Plate and Melbourne Cup. He missed the winning ride on Dunaden in 2011 through suspension and rides Youngstar this year.